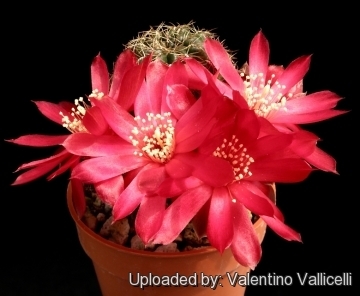 LLIFLE > Encyclopedias > Cacti > Family > Cactaceae > Sulcorebutia > Sulcorebutia purpurea var. santiaginiensis..
Altitude: 2400-2900 above sea level. 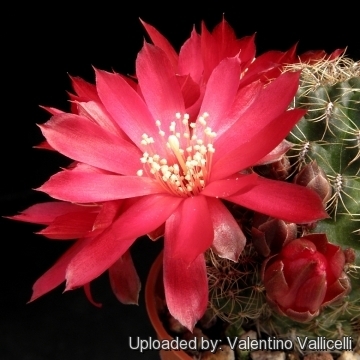 Description: Sulcorebutia santiaginiensis is one of the innumerable local form of the very variable Rebutia mentosa, it is very similar (if not the same) as Rebutia mentosa subs. purpurea but (?) with somewhat weaker spines. Habit: is one of the larger headed species, solitary or sometime clustering in cultivation when the main head is about 5-7 cm in diameter . 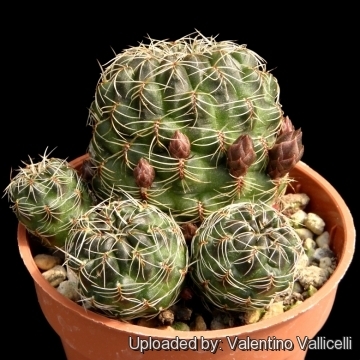 Spines: Sand coloured, light-brown to reddish brown or whitish strong, comb-like, spreading out and bent down to the body. Central spines: 4-6 speading, 12-18 mm long. 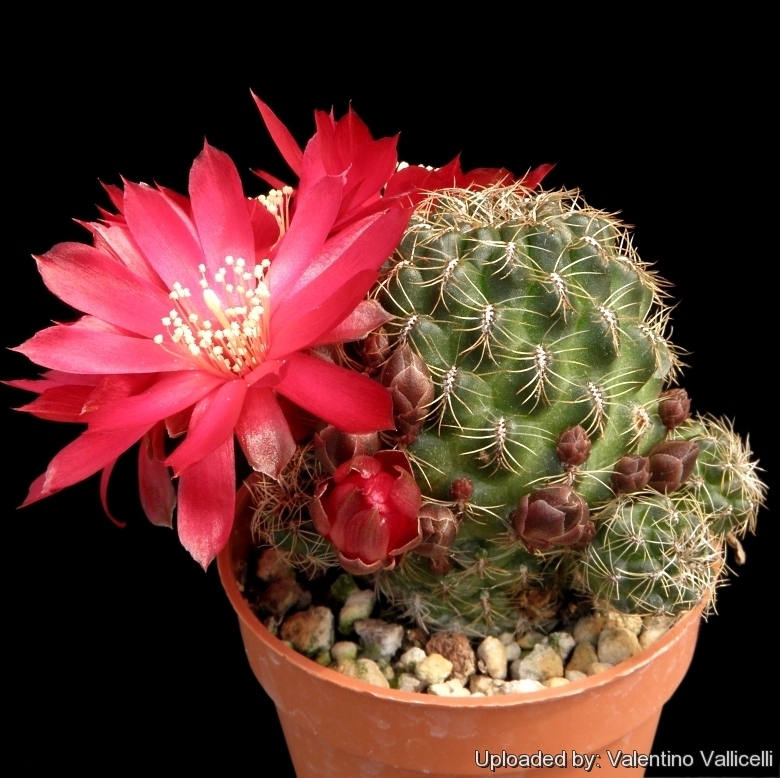 Flowers: Showy that cluster around the lower stem about 2-3 cm tall, 3,5-4,5 cm in diameter, funnel-shaped with short necks (about 5 mm), purple to violet-red or dark red clove-shented.